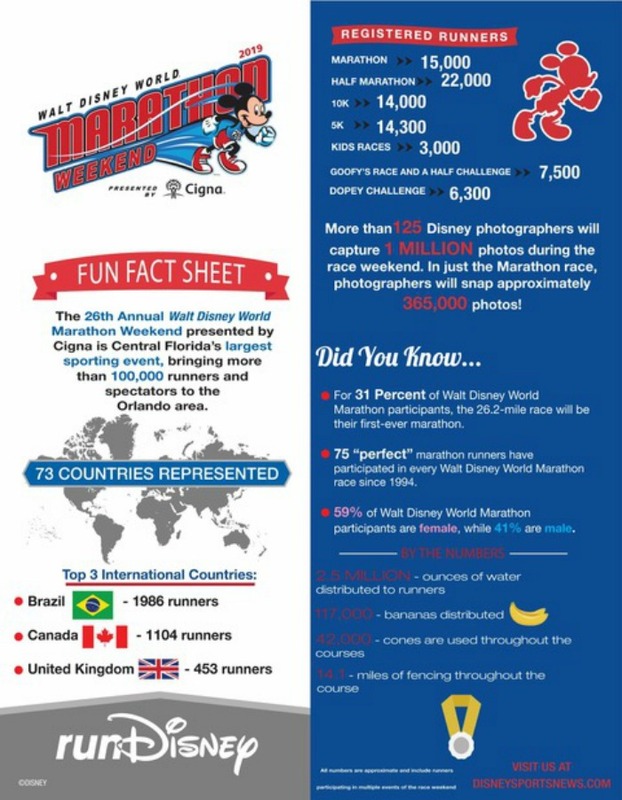 In the running community, runDisney marathons are known as one of the most magical ways to to get your race on. 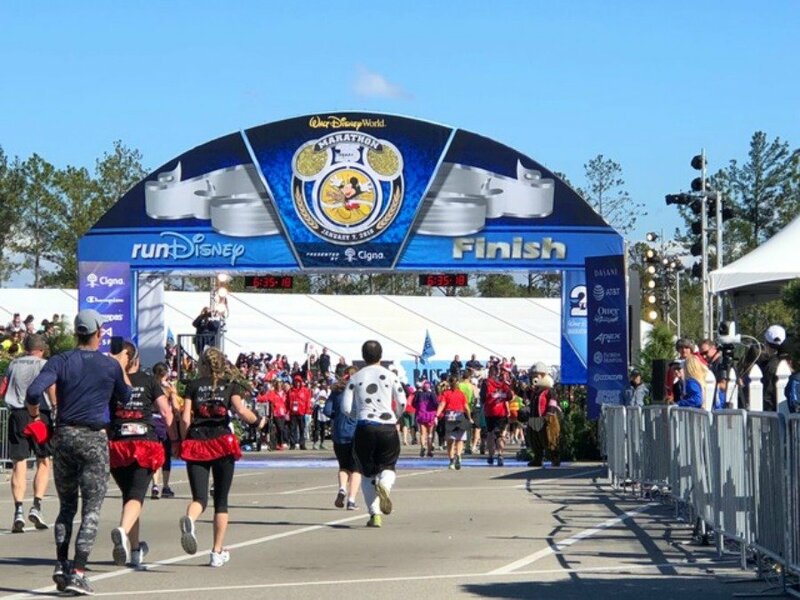 These marathons take place at the enchanted Disney theme parks around the world and provide participants with Disney Characters along the courses, live entertainment, and commemorative, uniquely themed Disney finisher medals when you've crossed the finish line. Offerings range from marathons and half marathons, 10Ks and 5Ks, to kids races and multi-race challenges. Whether you're a beginner, a seasoned marathoner or somewhere in between, there's something for everyone. 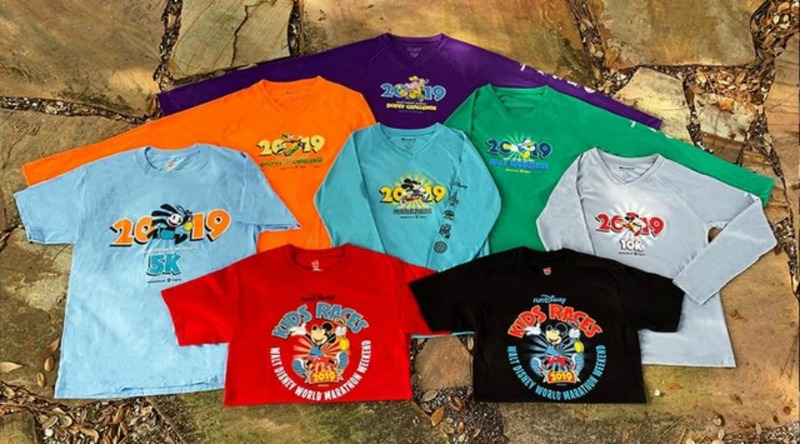 All kinds of commemorative merchandise will be available for sale at the runDisney Expo that takes place during every marathon weekend. Be sure to check your registration paperwork for days and times of opeation for the Expo. Over the years, Disney has streamlined the process for registration by connecting it to your Disney account. Guests are able to use a Disney Gift Card as a payment option, but multiple payment options cannot be used for the registration. If a guest chooses to use a gift card to pay for registration, it must cover the full amount. Guests can also register multiple people at once for a race. They cannot register for multiple races at once, however. Additionally, Disney allows you to go in and edit information after you have registered if a mistake was made. In the event that a race sells out (which happens with just about every event), runners are not out of luck. Visiting a charity or travel company options for a possible entry is a possibility. There are requirements such as fundraising or a certain length of stay or ticket in order to get those bibs, so read the rules carefully as they vary depending on the charity you choose. 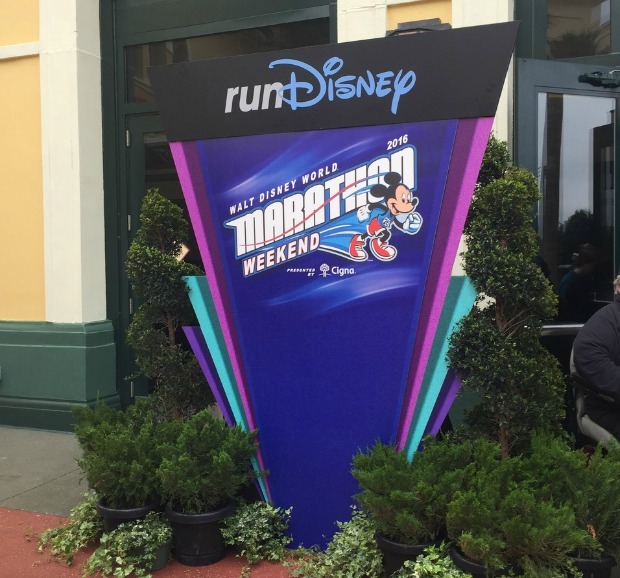 The Annual Walt Disney World Marathon is one of the most popular race events in the U.S. You'll find that registration often fills up within days of opening. For complete details click here. This festival of races is held annually during the beginning of January (usually the first full weekend after the New Year), and has grown into the largest combined running event in the country. Nearly 55,000 competitors registered for one of the races in 2010. The schedule for the weekend's races has remained consistent with a Family 5k Fun Run on Friday, the Half Marathon (13.1 miles) on Saturday, and the Full Marathon (26.2 miles) taking place on Sunday. 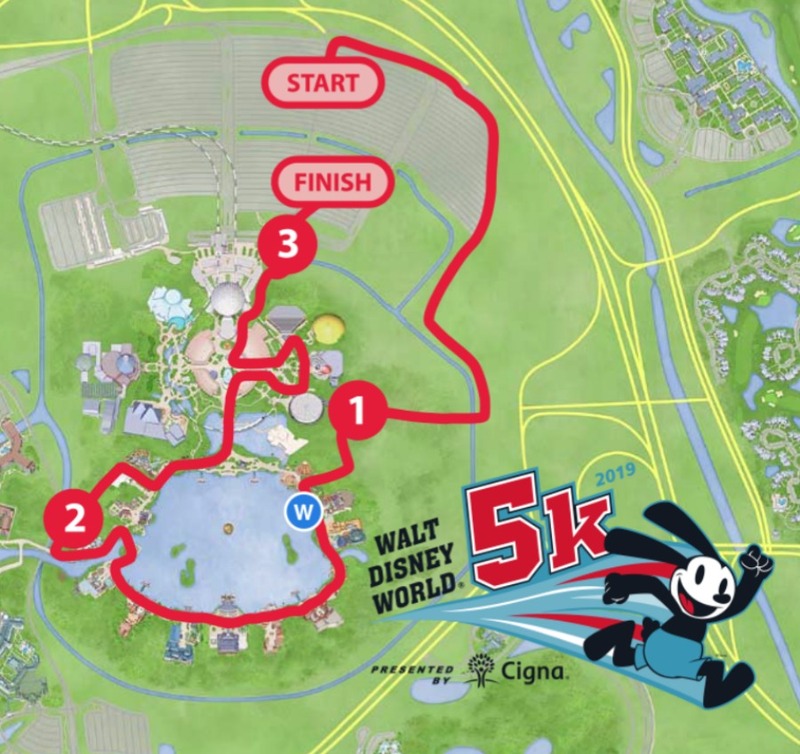 Runners can also register to compete in both the half and full marathons in what's known as Goofy's Race and a Half Challenge (39.3 total miles and you receive 3 medals for completing the 2 races). The Dopey Challenge was new in 2014 and runners who register for this must compete in all four races over the weekend, for a total of 48.6 miles (runners who complete this will get 6 medals - one for each race, plus one for the Goofy Challenge and one for the Dopey Challenge). Disney races welcome competitors of all abilities, and one definitely does not have to be a World Class athlete to take part. There are many walkers participating in the event, and Disney has set a generous 16:00 min/mile pace time to complete the race. The 5th Anniversary Disney Castaway Cay Challenge has been added to the Marathon Weekend lineup of events. Runners who are registered for any of the Disney races (5K or longer) during Marathon Weekend have the option to complete the Disney Castaway Cay Challenge when sailing the Disney Cruise Line 4-night Bahamian Cruise on the Disney Dream from January 14-18, 2019 following Walt Disney World Marathon Weekend January 9-13, 2019. The 5K took place on January 17, 2019. When runners complete both a Marathon Weekend race and the Castaway Cay 5K, they will receive a special Disney Castaway Cay Challenge Medal in addition to their finishing medals. Runners will also get to participate in exclusive activities, enjoy featured menu items and purchase special merchandise while on the cruise. Goofy's Race and a Half Challenge is for runners wanting to run both the full and half marathons. Those who complete the challenge will earn the coveted Goofy medal in addition to their finisher medals. 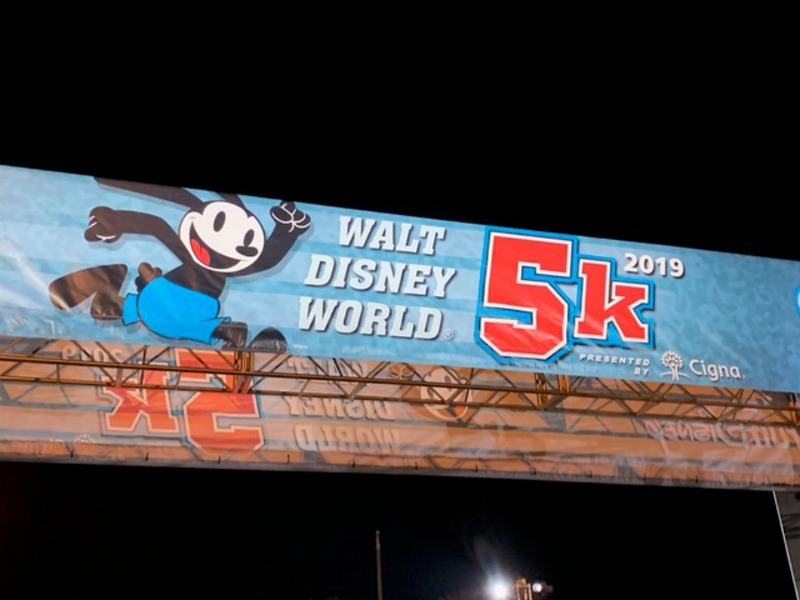 This challenge took place on Saturday, January 12 - Sunday, January 13, 2019 during the 2019 Walt Disney World Marathon Weekend. The 5th Anniversary Dopey Challenge is four days of racing for a total of 48.6 miles! 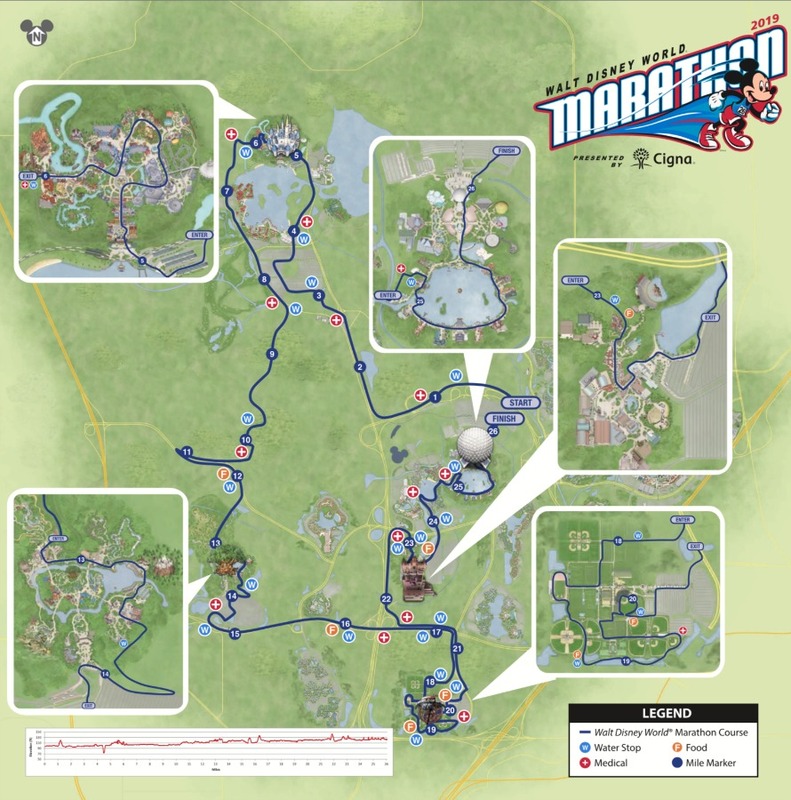 Participants will run the 5K, 10K, Half Marathon and 25th Anniversary Walt Disney World Marathon, and if you complete all four races within the pacing requirements, you will be awarded the Goofy's Race and a Half Challenge medal and the Dopey Challenge finisher medal for a total of six pieces of "bling." Of course, the big draw of any Disney race is running through the theme parks. However, there are also many characters and entertainers throughout the course. Racers will stop for photos with characters, many of which are rarely found out and about in the parks. There will also be bands, high school cheering squads, DJs, dancers, and lots of entertainment along the course to distract you from the miles. Registration spots for the races fill up quickly. If you know for sure you want to participate in one of the events, we recommend you register as soon as possible. Course maps for the marathon weekend events can be found below as well as first hand reports from previous years' races. These races are held at the ESPN Wide World of Sports Complex and are a great way to include your little ones in the racing fun! 100m Dash: 10:30 a.m. – 11:30 a.m.
200m Dash: 11:30 a.m. – 12:30 p.m. Diaper Dash: 12:30 p.m. – 1:00 p.m.
One Mile Run: 1:00 p.m. 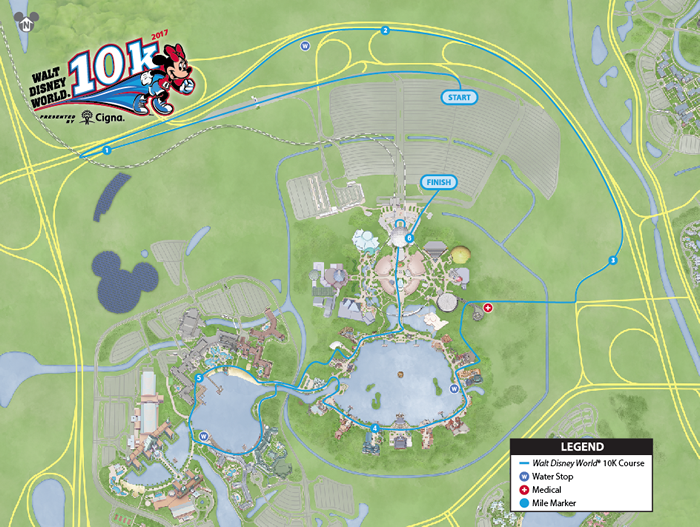 Entire 3.1 mile course takes place at Epcot. This is a great chance for families to run together! If you've got a little one that's not quite up to running that far, try out the Stroller Walk Division! This is the first year for this new race - 6.2 miles through Epcot's scenic World Showcase with Disney characters and entertainment along the way! 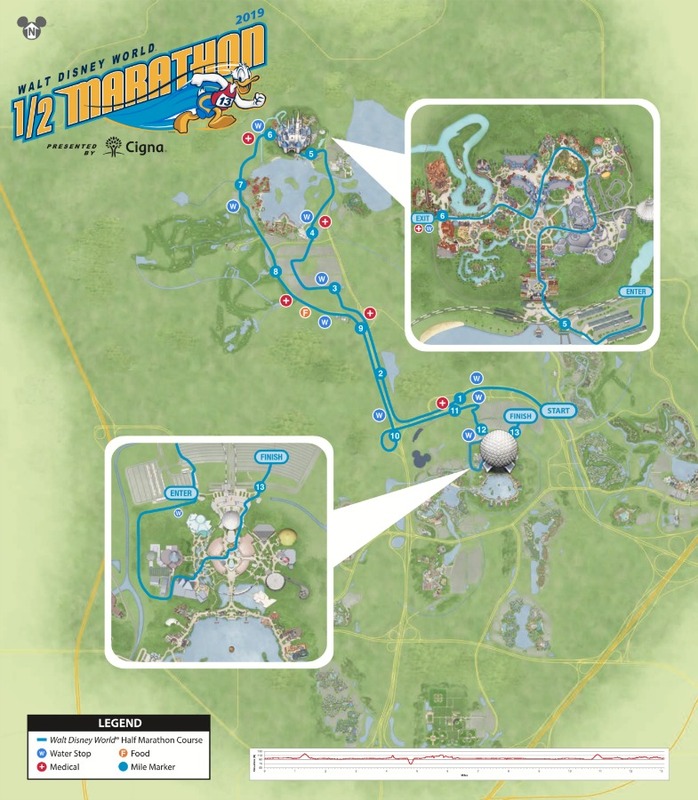 The 13.1 mile course starts outside of Epcot, up to the Magic Kingdom, back to Epcot through Future World, and finishes in the Epcot parking lot. The 26.2 mile course starts at Epcot, up to and through the Magic Kingdom, down to Disney's Animal Kingdom, over to Disney's Hollywood Studios, back to Epcot, and finishes in the parking lot. On the heels of the successful Walt Disney World Marathon weekend, runDisney created an event to celebrate women's health and fitness. In 2009, the Disney Princess Half Marathon debuted and in its second year, the event drew 13,000 registered competitors. 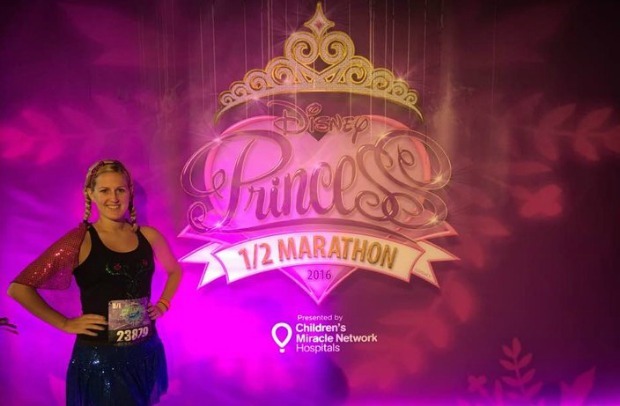 While runDisney markets the race as designed just for women, it is not exclusive to women. Men can (and do) enter this event, but are not eligible for any of the awards. 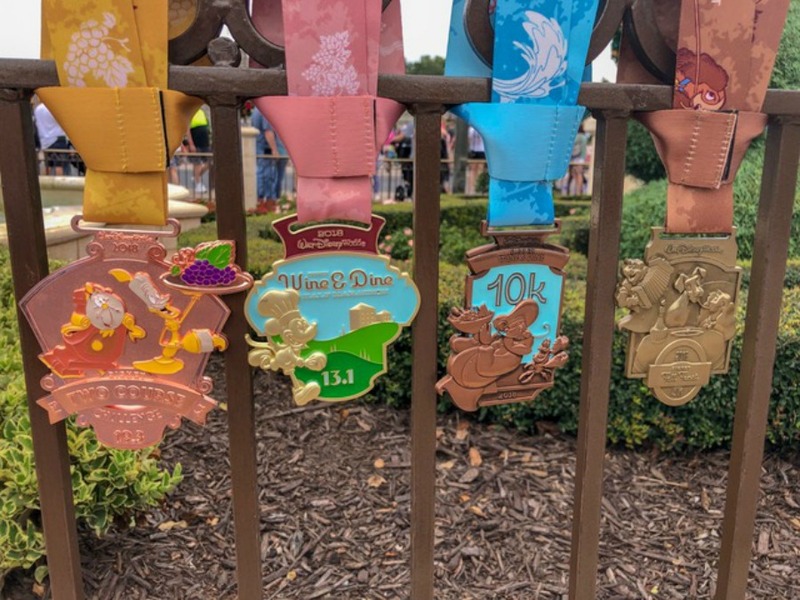 If you're familiar with the Walt Disney World Half Marathon, then the Disney Princess Half Marathon will feel very similar. 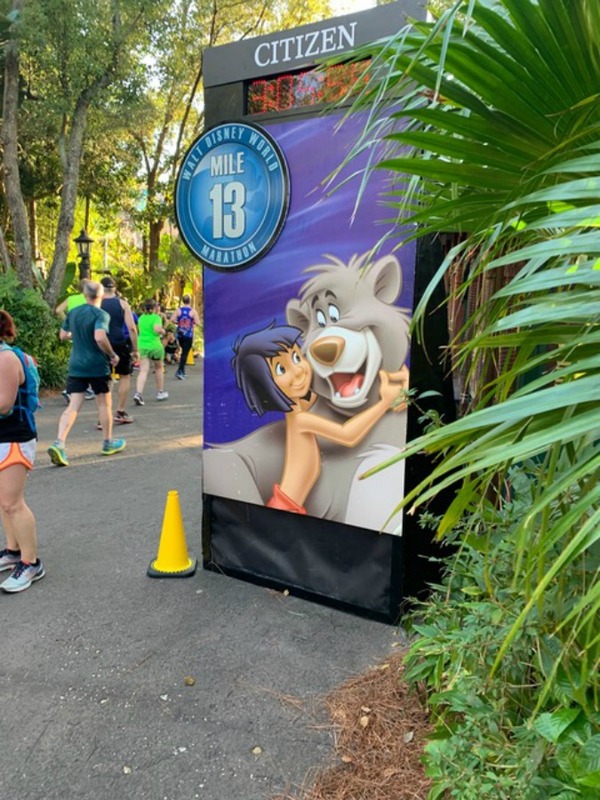 The 13.1 mile half marathon follows the same route as January's Walt Disney World Half Marathon - starting outside Epcot, up and through the Magic Kingdom, and back to Epcot. Along with the 13.1 mile Princess Half Marathon on Sunday, there is also the Disney's Princess 5k (3.1 mile) fun run staged in Epcot around the World Showcase and the Disney Princess Enchanted 10K at Epcot. There are also a series of kids races on Saturday held at the ESPN Wide World of Sports Complex. The kids races are run on the track and range in various distances from a diaper dash; to 100, 200, and 400 meter dashes; to a 1 mile run. 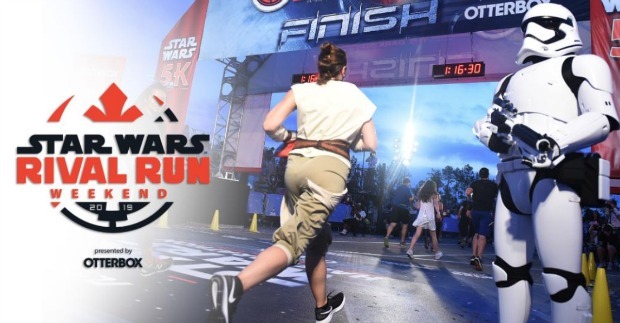 The Star Wars Rival Run Weekend will offer participants a choice of which side of the Force they will run for and will highlight several popular Star Wars rivalries from across the saga, with a 5K, 10K, half marathon, and the runDisney Kids Races – something for all skill levels. 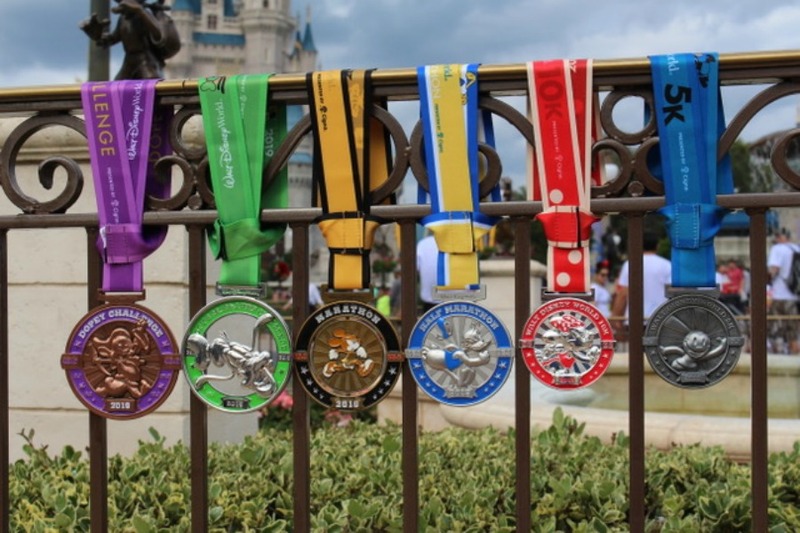 Runners will come across various Star Wars characters along the courses as they earn one-of-a-kind medals in these unique races. Two challenges will be offered giving runners the opportunity to earn exclusive medals. The Star Wars Rival Run Challenge requires participants to run the 10K and the half marathon during the race weekend while the runDisney Kessel Run Challenge requires completion of the Star Wars Rival Run Half Marathon at Walt Disney World Resort along with the Star Wars Virtual Half Marathon at home. 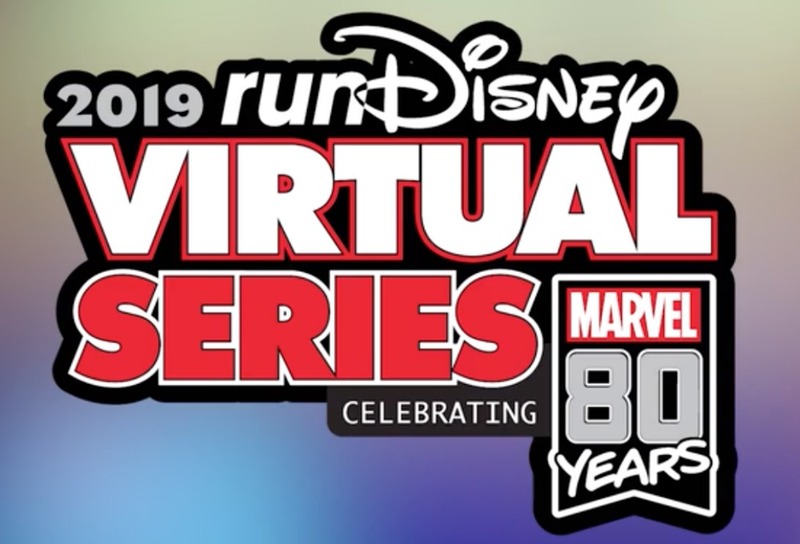 2019 runDisney Virtual Series 6/1/19 - 8/31/19 - on sale now! 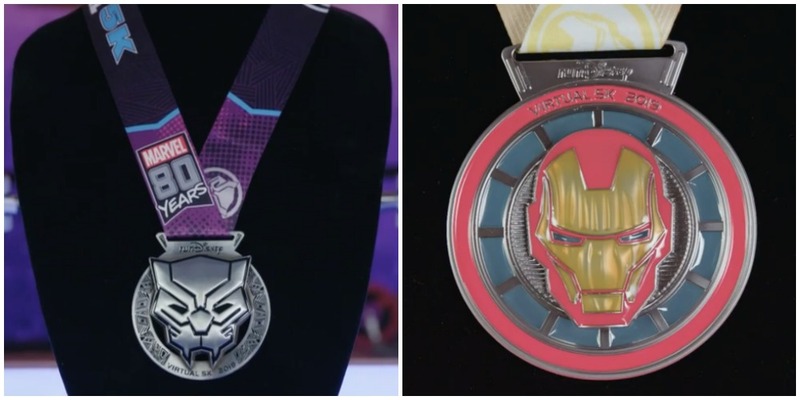 Participants will have the option to choose from three different Marvel-themed 5Ks that can be completed at their homes or participate in all three to earn the bonus Challenge medal. The Virtual Series allows the flexibility of running, jogging, or walking, either on a treadmill, around your neighborhood, or at another nearby location. The runDisney Virtual Series can be a good way to get started and to get a taste of what a runDisney event is like. 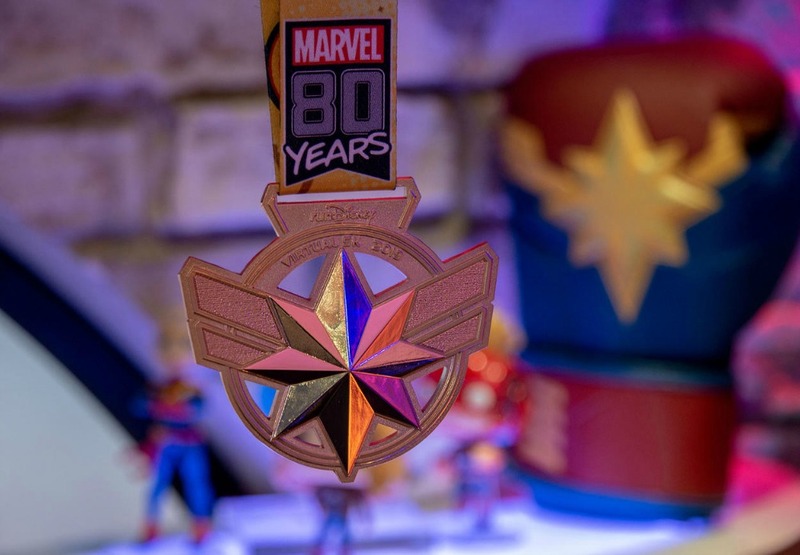 Challenge – Marvel 80th Anniversary – Participants will receive a bonus challenge medal and a commemorative coin. 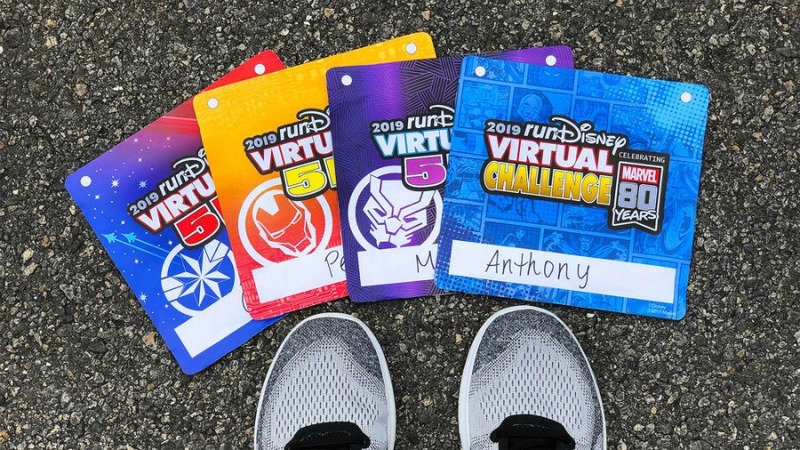 In addition to receiving a finisher medal, participants in the 2019 runDisney Virtual Series will receive a digital race bib and a finisher certificate. Visit runDisney.com to register! Runners can race through the "galaxy" on a course in their own hometowns during the Star Wars Virtual Half Marathon. Participants of the Virtual Half Marathon can break up their 13.1 miles over multiple days or rack up the mileage all at once. Regardless of what decision is made, runners will earn a one-of-a-kind, Star Wars-themed medal for their accomplishment. Don't miss out on this Star Wars adventure like no other. 10/31 - 11/3/19 - on sale now! This race weekend is timed with the opening of the Epcot International Food and Wine Festival. 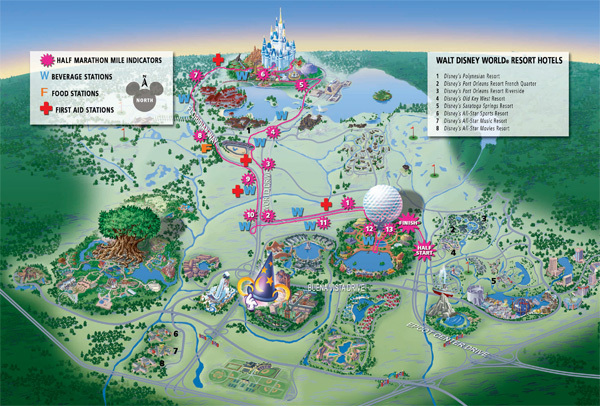 Along the way, the race course winds through two theme parks, Disney's Animal Kingdom and Epcot. The Post RaceParty lasts into the wee hours of the following morning (1:00 am), and features food from the international kiosks of the Food and Wine Festival as well as access to Epcot attractions including: Soarin', Test Track, and Mission Space. 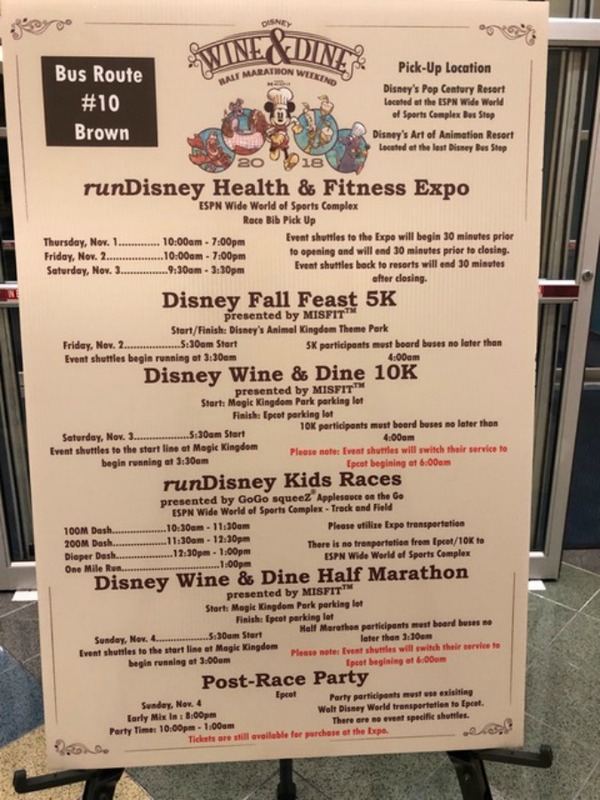 In addition to the half marathon, the weekend also includes Mickey's Holiday 5K, the Disney Wine & Dine 10K, and the Disney Two Course Challenge which combines the Disney Wine & Dine 10K on Saturday with the Disney Wine & Dine Half Marathon on Sunday — a total of 19.3 miles! 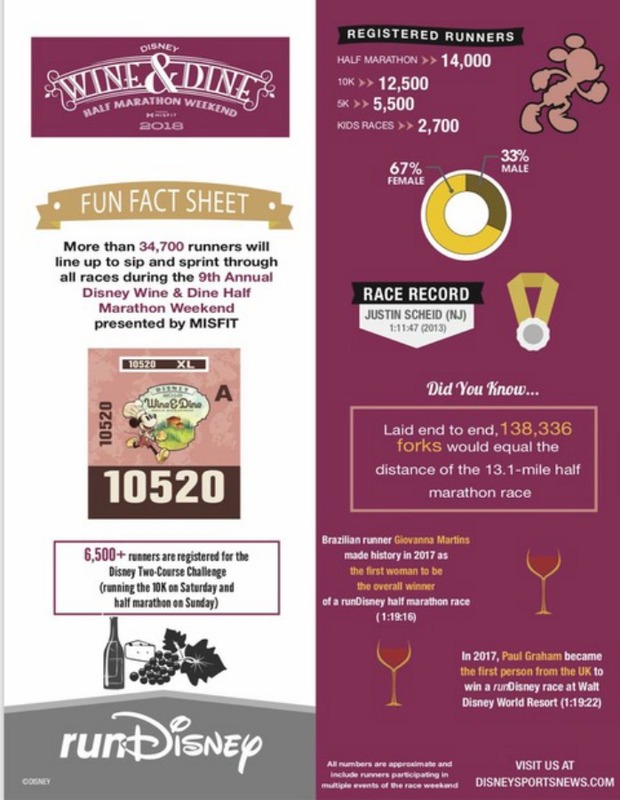 Click here for more information on the Disney Wine and Dine Half Marathon Weekend and to register for the race. Watch the video below for a guided tour of the race course taken during the 2010 Inaugural Wine and Dine Half Marathon. *These dates are subject to change, but this is when the races are normally held.